It is officially September… my favorite month of the year! The end of summer, beginning of fall… new school year for students and teachers, the start of college football (Fire Up Chips! ), Pumpkin Spice Lattes at Starbucks, leaves start to change, the start of fall weddings (including my own two years ago! ), and the temperatures get cooler but not too cool – which is PERFECT running weather! I ended July with a BANG! I trained hard at the end of the month and actually beat my mileage goal! Then when August rolled around, so did I… literally… I rolled around like a lazy pile and barely ran at all. 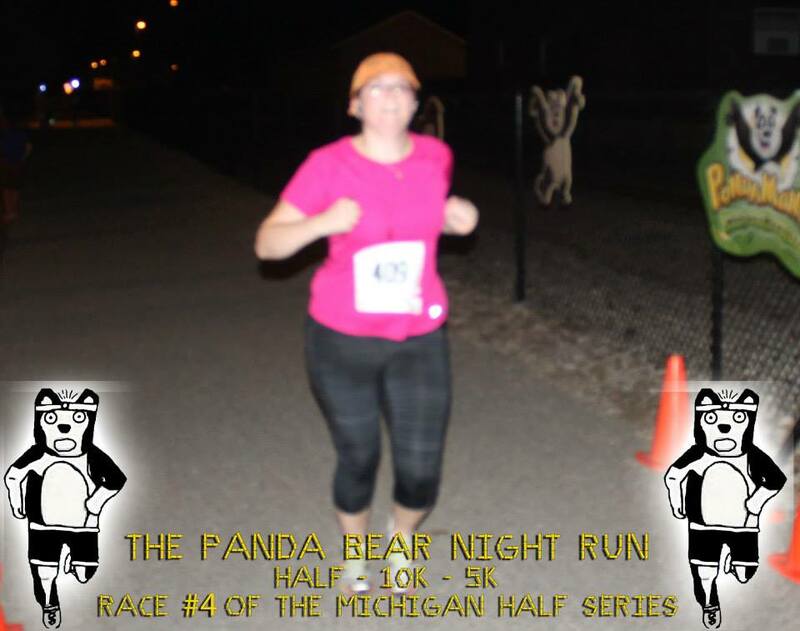 In the middle of the month I ran a 5k race, then slacked off again until my friend Michelle texted me to ask if I was still planning on doing the half marathon on November 8th. I told her I was… and she said “Okay, me too, I need to get motivated! Monday would be the start of a 12 week training plan. Wait… actually, there’s only 11 weeks until the half marathon!” Umm… and that was a week ago. As of August 30th, I officially have 10 weeks to train for my first half marathon. I’m not entirely sure that I will be able to do it… I will make my decision officially two weeks before the race when the prices go up. I have a feeling that I will have no problem beating the mileage goals for the rest of the year, since half marathon training has me running 10-20 miles per week. And I should beat my total miles for 2013 this month, no problem! In other blogging news… I found this blog about fruit & veggie servings that totally inspired me. This week I am challenging myself to get in my 2 cups of fruit and 2 1/2 cups of veggies each day and to take pictures of my food so you, my lovely audience, can see how a dietitian that doesn’t eat like a dietitian gets in her fruits & veggies each day!